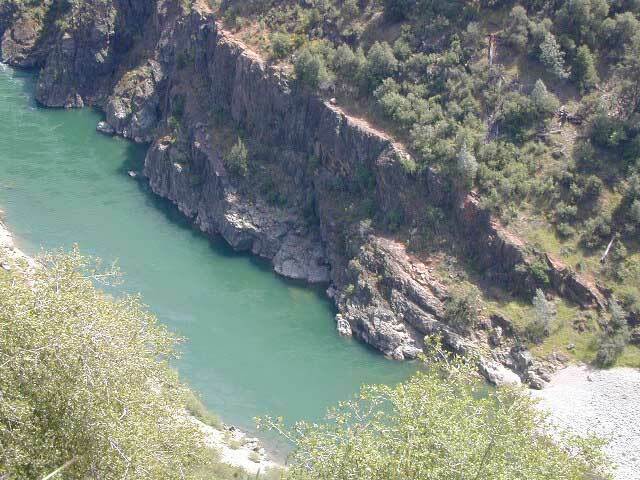 The river as seen from Hwy. 49 just south of Auburn, California. Auburn Lodging near the American River with numerous unique overnight options closeby. Colfax, the rail-town up the interstate, has a few small motels and inns, most freeway close. 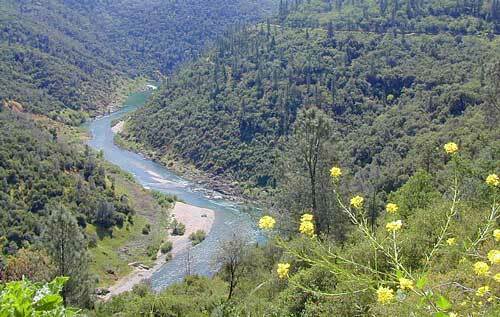 Foresthill is a residential area near the Middle Fork of the American River. 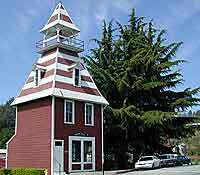 Placerville, on the South Fork has more hotel choices.